Donna Wilson has become the Tim Burton of London’s knitting circle. Back when the designer was a student at the Royal College of Art, she began crafting dolls out of old ‘‘jumpers,’’ the British word for sweaters. The leggy dolls without noses or mouths were picked up by Couverture, a chic lifestyle shop. 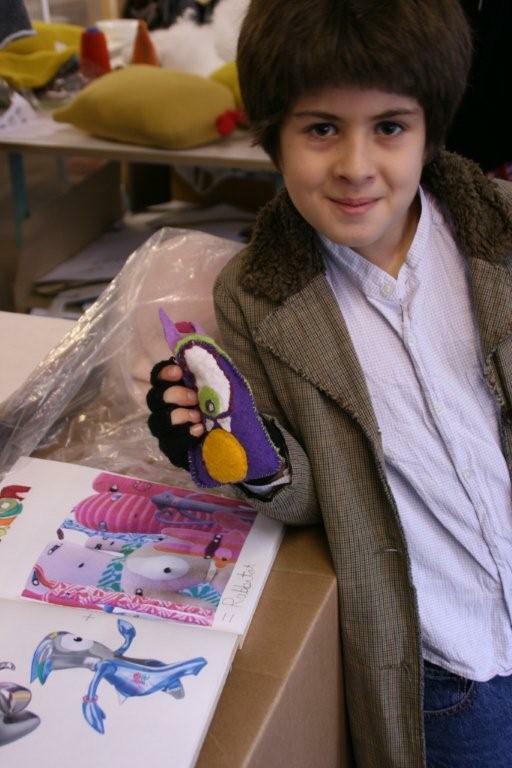 Today, Wilson’s quirky menagerie includes 30-odd creatures, like the charming hybrid Cyril Squirrel-Fox and Puddle Man (essentially a pool of water with a face), all of which are made from knitted lamb’s wool in Wilson’s East End workshop, not to mention cushions, throws, ottomans, sofas and rugs. Many of these are commissions from and collaborations with SCP, the British home furnishings manufacturer. was inside me but also encouraged by my grandma,’’ Wilson said of her urge to make things. When she taught herself machine knitting, she discovered that she could ‘‘replicate textures found in nature,’’ and her memories filtered into her art in the form of natural landscapes and textures like moss, bark and stone. ‘‘It still amazes me that you can create a fabric from a bit of yarn,’’ she said. At the R.C.A. 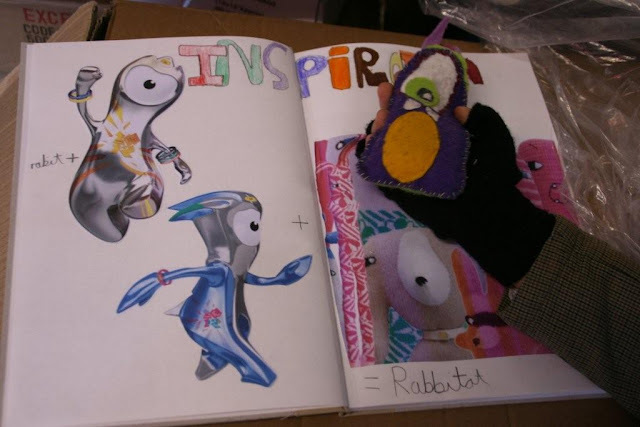 she was tutored by the artist Freddie Robins, whose freehand method of knitting fascinated her. She ended up participating in Robins’s wedding, a six-month performance project that involved knitting every detail of the celebration, including the flowers, cake, confetti, sandwiches and patchwork wedding gown, for which Wilson contributed the 98-foot train. 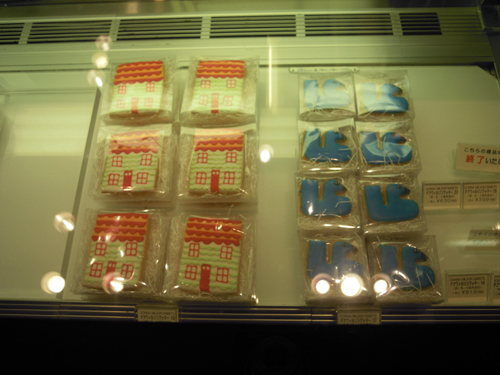 Wilson’s homespun aesthetic is a patchwork as well. ‘‘She has an instinctive understanding of color and design, plus this strong knowledge of materials,’’ said Sheridan Coakley, SCP’s founder. An early commission from SCP was the Motley, a rainbow-colored Chesterfield ottoman. Recent collaborations include Nos Da (Welsh for ‘‘good night’’), a collection of throws, blankets and pillows — in brilliant hues and hyper-geometric patterns — that is manufactured in Wales using a heavy Yorkshire yarn that exploits the traditional Welsh dobby weave. And a series of Sundara rugs woven in Bikaner, in Northern India, has oversize patterns reminiscent of brightly colored Fair Isle sweaters, a signature knitting style from Wilson’s native land. This month, the Future Perfect will present a selection of Wilson’s new work at its Brooklyn and Manhattan stores. ‘‘At first glance, Donna’s work is childlike, but when you get to know her, you see that there’s really nothing childish about it,’’ said David Alhadeff, the Future Perfect’s owner. ‘‘There’s something about knitting that’s very familiar, simple and comfortable.’’ Indeed, even Wilson’s weirdest creatures are not without their comforts. ‘‘They’re odd,’’ she said. ‘‘But you want to look after them. 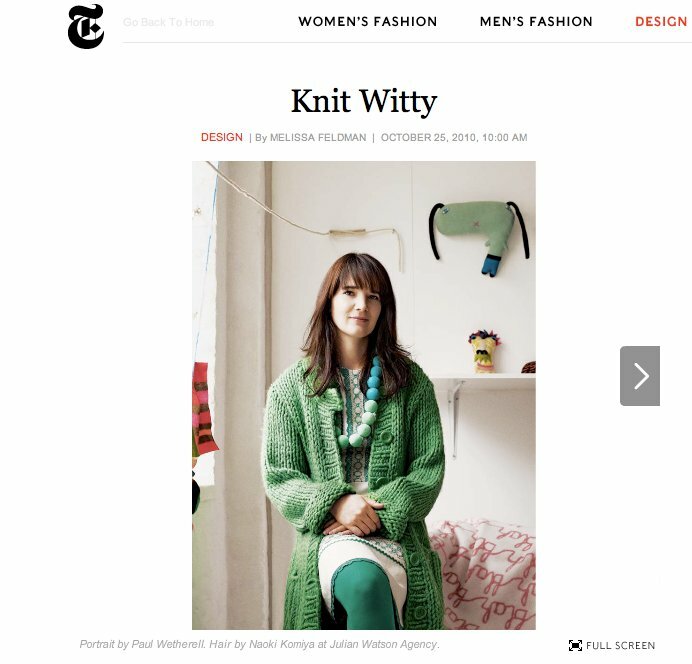 Go to: http://tmagazine.blogs.nytimes.com/2010/10/25/knit-witty/ to see more pictures. Here's a page from his book with pictures of my creatures as inspiration, but I think I was the one who was most impressed! well done Otto! 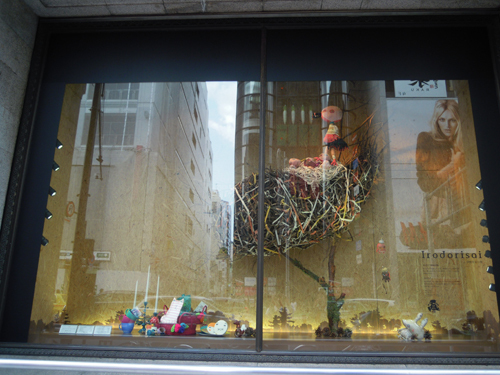 I've blogged about this already, but just wanted to share some of the photos I have just been sent from the piggybank exhibition at Isetan. The windows look great! 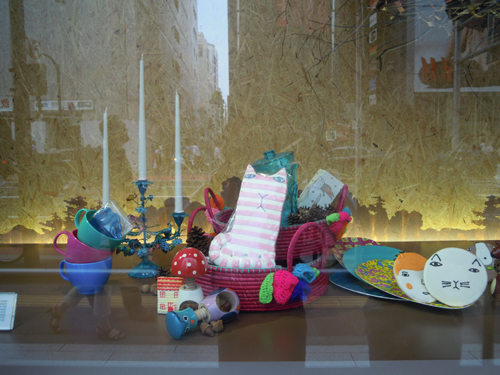 I was asked by Isetan, the Japanese department store to design design a piggy bank, and naturally thought of the ceramic variety, but they wanted me to knit them! Here's a sneak preview of the different characters. 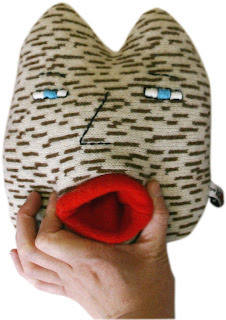 If you squeeze their mouths together they open up so you can stash your cash in them! Donna Wilson biscuits and sweets! 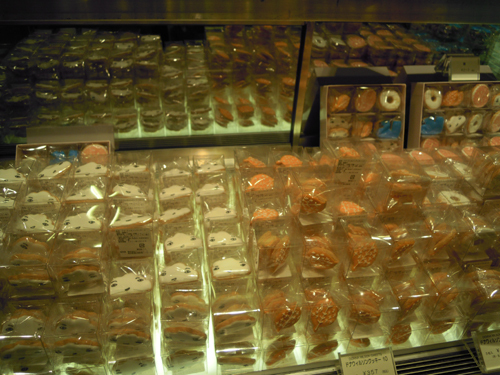 I've been working with my Japanese distributor Trico recently, designing buscuits and chocolates for Japanese department store Isetan. Here are a few pictures, They are fantastic! This is an image from their catalogue. They have made them so delicate and beautiful! 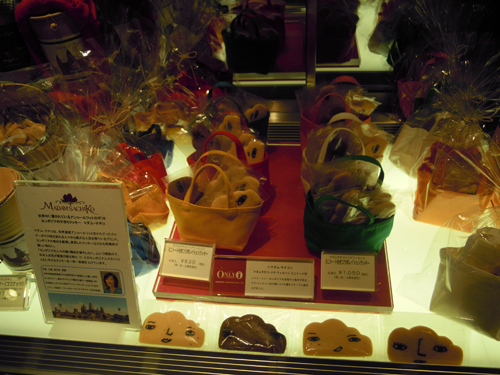 ﻿so if you are in Tokyo please go and have a look and get some cookies- they are only on sale there for a limited time! I am getting some sent over so I will let you know how they taste! !